During the 1970s, Alain Ducasse was a young commis chef under Michel Guérard. Whilst passing through the municipality of Eugénie-les-Bains, Gaston Lenôtre introduced him to the universe of confectionary. During the quiet season of winter, Alain Ducasse joined him in Paris where he also met Michel Chaudun. At this time he discovers that pastry fascinates him more than he could expected. Following this, whilst working with Alain Chapel in Mionnay, Alain Ducasse spent his days off alongside Maurice Bernachon, artisan-chocolatier in Lyon. It was at this time that his love of chocolate was born “a terribly sensual and bewitching substance,” he claims. So much so, he felt, that he decided to concentrate exclusively on his career in the savoury realm of cooking. For over 30 years, his dream of chocolate never left him… and has now become reality in the form of La Manufacture. 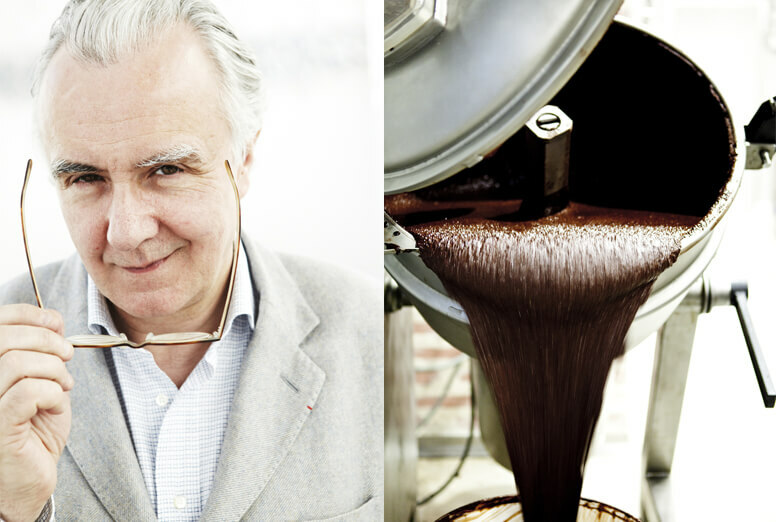 Alain Ducasse wanted to produce his own chocolate for his restaurants. From the very outset, the chef’s culinary philosophy had been based on the rigorous selection of high-quality products through which he could express fully both taste and flavours. He felt it obvious that this philosophy should equally be applied to chocolate. Alain Ducasse wanted to produce his own chocolate for his restaurants, on condition that he had full control over the taste. To do this meant manufacturing from beginning to end, starting with the cocoa bean, subject to rigorous sourcing. Alain Ducasse restaurants worldwide now offer a signature dessert made with chocolate produced at La Manufacture.